So, what’s the scoop? Tasaka Guri Guri is officially OPEN for business, as of 8 a.m. today (Monday, Jan. 28, 2019). 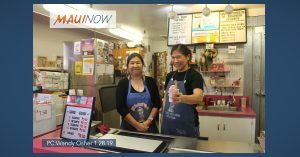 The brief two-day closure was implemented on Friday afternoon when the small business ran out of product to make their famous Guri Guri, one of Maui’s most iconic treats. The store, located in a characteristic pink corner of the Maui Mall posted a notice to their Instagram page  on Friday saying they would be “closed until further notice,” prompting questions and concerns from the community. Luckily for fans and followers, the closure was only temporary. Owners apologized for the inconvenience and said they were happy to be serving customers again. 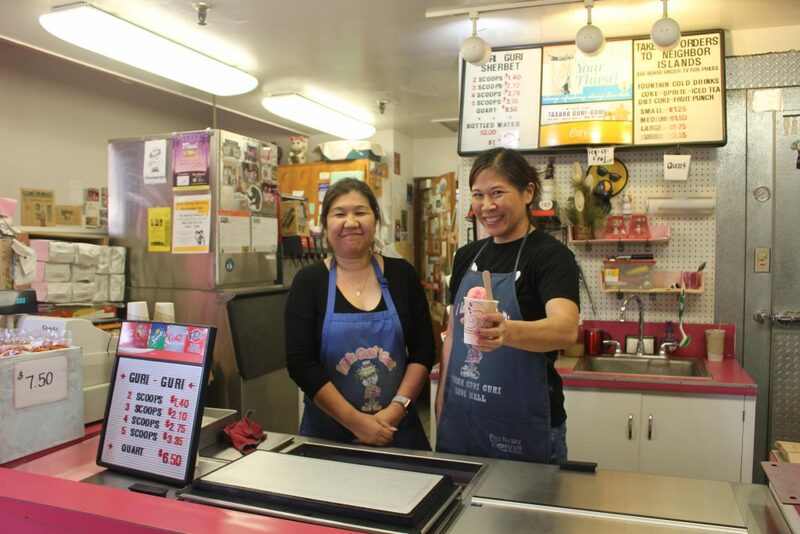 The family-owned business offers strawberry and pineapple flavored sherbet in 2-5 scoop and quart size servings. Take out orders for neighbor island transport are also available for those searching for the perfect omiyage for friends, family and coworkers.